Adventure Comics #247, DC Comics, April 1958. I’ve never been a big fan of DC’s early Silver Age relaunch books but I’m well aware that I speak to an empty room. The room is empty because everyone is out buying their Showcase #4’s, their Showcase #22’s and their Brave and the Bold #28’s. These are great books and I recognize their importance it’s just that I think a little too much weight (and value) is given to them. I also think that not enough weight (and value) is given to some early game-changing Silver Age DCs that have true 1st appearances including this week’s Undervalued Spotlight Adventure Comics #247. The collecting community has not been kind to the Legion these last few decades. 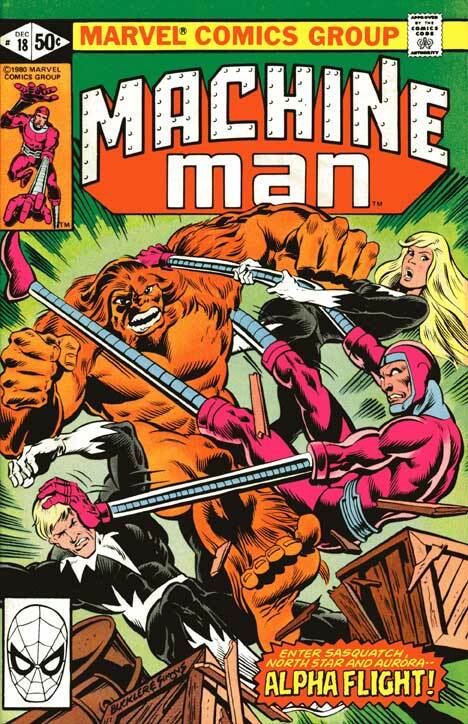 I remember when Legion appearances mattered, I remember the Guide flushing out issues up until at least the 14th appearance. 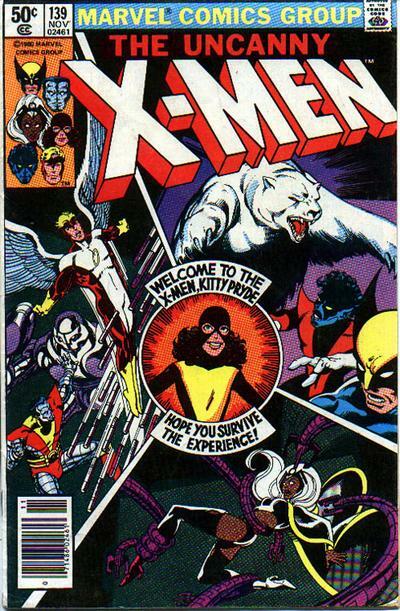 I used to be able to sell Adventure #267’s (2nd appearance) and Action #267 (3rd appearance) as key issues with premiums to the Guide but not anymore, not for a while now. The Legion of Superheroes is this riddle, this great idea and concept full of promise that DC/Warner own and I’m sure they’re trying to figure it out. In Overstreet’s Guide Adventure Comics #247 is the 6th most valuable Silver Age DC, ahead of it are the 3 comics mentioned above and Flash #105 and JLA #1. What Adventure Comics #247 is though is the most valuable and most important original concept/creation of the DC Silver Age. 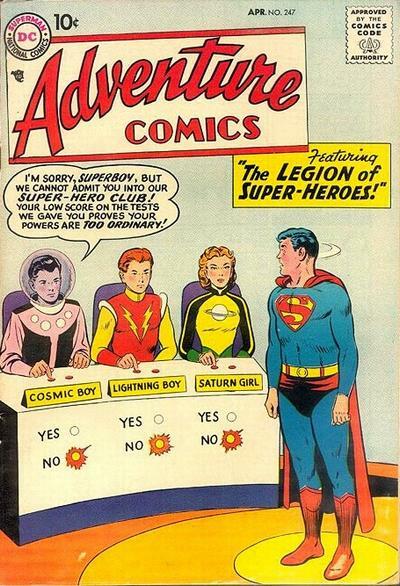 Adventure #247 is THE big DC Silver Age book that is not a re-imaging intro, not a new title launch and not a related character creation (Supergirl). The next big DC book that qualifies is the distant second Showcase #6 (Challengers of the Unknown) which holds about 40% of the value. If this is the big original concept DC book of Silver Age, which historically it has been, then I think we’re about to see a value appreciation. Adventure Comics #247 is notoriously tough in high grade, as of this post there are only 19 in CGC 7.5 or higher. Recent sales of CGC 8.5s go something like this: Showcase #4 CGC 8.5 – $155,000, Showcase #22 CGC 8.5 – $60,000, Adventure Comics #247 CGC 8.5 – $19,000. Scarcity at CGC 8.5 is about the same for all three books 12, 9 and 9 respectively. The market has realized Adventure Comics #247 is undervalued, over the past 2 years we’ve seen price increases of 25% to 40% across grades but I feel the book has a lot more room. Adventure Comics #247 is an iconic issue, it has a classic recognizable cover that has been imitated countless times, it is a heavy enough key that has its own gravity and the market has been nothing but kind to big important books like this. There is a two-decade stigma to shake off but the market has begun to do that, Adventure Comics #247 is a must have key. The 48th Overstreet price break for this book is $3,000/$7,500/$15,750/$24,000 in the 6.0/8.0/9.0/9.2 grade splits. Not sure about undervalued but definitely overlooked. I’ve always thought this was an very important early SA book. I think its a good time to buy and hold LOSH keys if you haven’t already before they get more noticed once again and prices start to rise. They have too much of a storied history in the DCU to not show up in the future in some type of media form via the movies or TV. Could be a good property to take a chance on IMO. Just look at what happened with GOTG at Marvel. “Relaunch books” is such a pejorative term! Today it instantly brings to mind something like “The Incredible Uncanny Spider-Man”, hot on the heels of “The Mighty Fantastic Spider-Man”. Detective #327 was far more a “relaunch book”, but you had a lot of kind words for that one. At least to me, as a kid, these Showcase “relaunch” books defined the BEGINNING of comic books. Yes I was aware of the Golden Age books via reading reprints, but they had a musty Victrola aura. So as much a “relaunch” as Lugosi’s Dracula was to Nosferatu. With that off my chest, I’ll move on to the question of “most important original concept/creation”. I think that is debatable, but on this topic I’d rather argue for a synthesis. I certainly can agree that the “relaunched” Flash is not particularly important or original in and of himself, but Showcase #4 defines the BEGINNING (as above), and that’s why this book is so valuable. But I won’t agree the same with Green Lantern. This is where the synthesis comes in: the Legion is “Cosmic DC” via time travel, while Green Lantern is “Cosmic DC” via the Guardians and the Corps. Together they map out the present and future universe, awaiting the further expansion of “Cosmic DC” into the multiverse of Flash #123. You point to the scarcity of Adventure #247, and to me that is the second draw of this book, as it is for many DC keys and non-keys from this early code period. A nice copy of this book is a real prize, and given that it’s a) DC, b) 1958, and c) Adventure, you can be pretty sure that not many more nice ones are going to show up. As you also note, there has been a lot of appreciation already in this book, which I think puts pressure on the “undervalued” call. I wouldn’t look at the super high-end sales to make this judgment, because most people can’t look at this range and the pricing tends to be volatile and idiosyncratic. (As I’ve said before, I think a large number of Amazing Fantasy #15s are being bought by people who barely have an idea of who Spider-Man is.) So to make the call I would look at comps that are more approachable. I just can’t stomach using Showcase #22 as the comp for a lot of reasons – as Gallo says, it’s just _better_. B&B #28 is just too much of a name book as well. I am going with JLA #1. There is no sensible reason why JLA #1 should be more valuable than Adventure #247 in my mind. A top 100 copy of Adventure is a 5.0, with a recent price of $3500. A top 100 of JLA #1 is a 7.0, and comes in at about the same level (ignoring the most recent much higher sale). I think that this seals the deal – there are many arguments for why Adventure #247 should see upside, but few for JLA #1, so definitely undervalued. This book is cool in many many ways. I am already allocated to Showcase to the point that I can’t devote enough capital to this to get a nice one, but I strongly support this pick. Thanks for another great post (and for the guest spot the other week!). My local comic shop goes wild over the LSH, and I never understood why. What is it about some Silver DC that makes it unattractive? 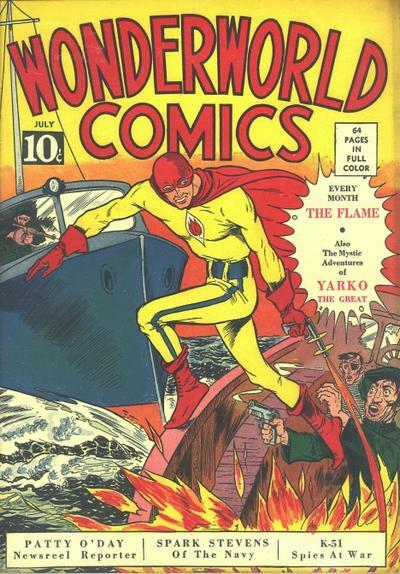 I think the covers are quirky without being funny or ‘knowing’, and they lack the action and drama of say a Kirby cover (compare Challengers of the Unknown #1, also April 1958). Lois Lane, Superboy and Jimmy Olsen have long been something to pass over (in comparison to many other titles), and maybe Superman, Action, and Legion are heading the same way. JLA, Flash, Aquaman and Batman, on the other hand, seem to me to be on the up. Captain Marvel (Shazam) meanwhile has the right mix of humor and drama to make it succeed – and the books have been languishing for so long that they seem fresh now. So my out-there prediction will be that we’ll see the ascendance of the Marvel family (who also clearly have connections to the “Invincibles”) and the decline of Super-persons for a while. I do agree that I’ve been too quick to dismiss Showcase #4 and #22, they are obviously mega keys because the market is treating them as such and has been for years, I am allowed to be bearish on the issue though. Interesting discussion where does Detective #225 fit into all of this, isn’t it a Silver DC Key as well ? Quite apart from being damn hard to find in grade. Action #252 is being spruiked right now with the resurgence and creation of strong female leads is that worthy of mention as well ?